We haven’t heard from Gary for a week and we must admit we were getting a bit worried. It’s been very windy with strong northernlys which had put a halt on our gulls migrations. However, we came into a update from Gary this morning and we can now see why we haven’t heard from him. He has spent the last seven days in the Bay of Biscay away from mobile phone reception. 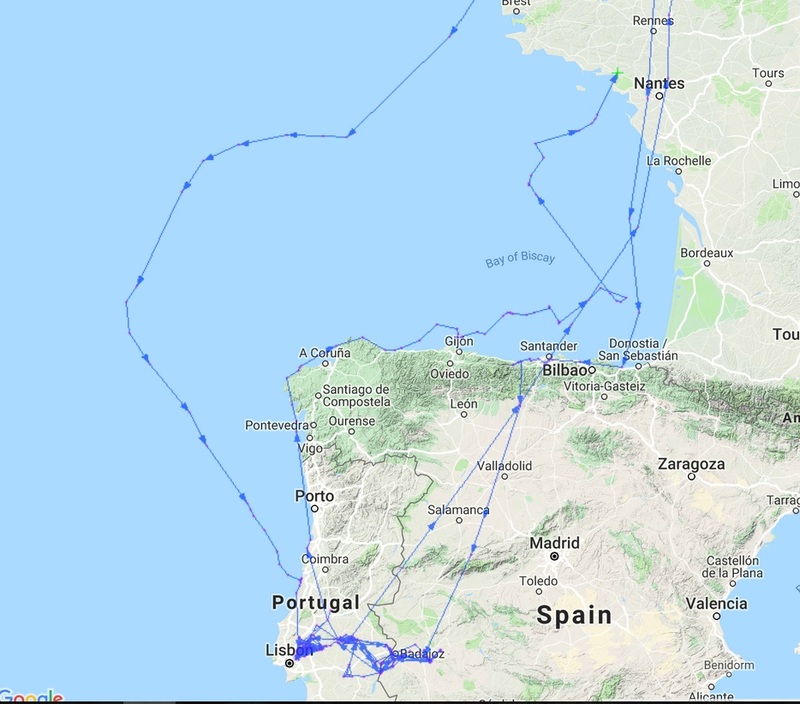 After his last update on the morning of the 21st, where he was on the north western tip of Spain, he travelled east along the coast to Valdoviño where he was picked up at 2025. He then left the coast of Spain and travelled east towards France across the Bay of Biscay. Last year it took him roughly 9 hours to get to France, this year it took 6 and a half days. At one point he looked to be heading towards Mimizam south of Bordeaux before heading north west back out into the Bay. We suspect the wind has had a big effect on his flight pattern. At times we can see he has had long periods of up to 12 hours in roughly the same area which suggests he has been resting on the sea. He finally flew into France yesterday morning (28th) around 8am. He certainly deserves a rest and we are glad to see he has had the reserves to make this journey as he may have struggled to find food over the last few days. Go Gary Go!! !